After leaving Heitate Shrine I visited Tsujunkyo Bridge. Both are located in Yamato-cho. Tsujunkyo Bridge is Japan’s largest stone-arch aqueduct bridge, which was built in 1854 for water supply to local farmers. 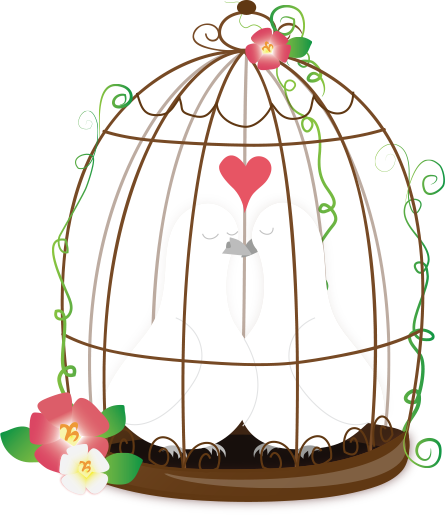 For more information please click Japan Web Magazine. 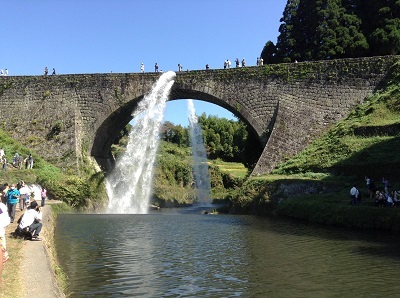 Fortunately, I was able to see the waterfall which is a rare occurrence. 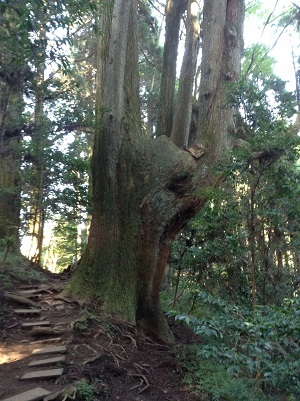 The other day, I drove to a country side “Yamoto-cho” where it took an hour and a half to get from Kumamoto city. There are several sightseeing spots in Yamato-cho. One of them is the Heitate shrine. Most people living in Kumamoto don’t know it. However it is famous among some Japanese because it is known as a spiritual place, where a mystic force provides energy, good luck and healing to a person who stands there. 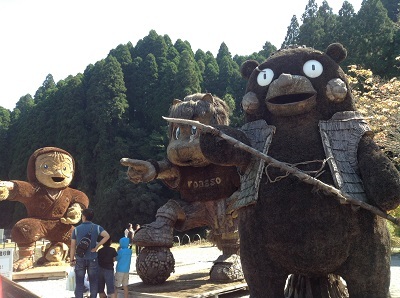 It seems that many people outside Kumamoto visit there. You have to go up a long stone stars to reach the shrine. 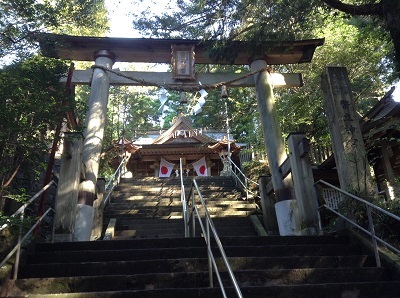 This is the main shrine. 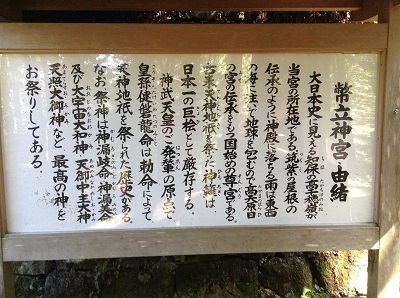 The history of the shrine is written on the board. It has a long history as nobody knows when it was founded. 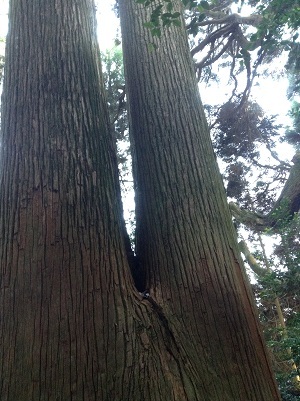 It worships several Shinto gods. 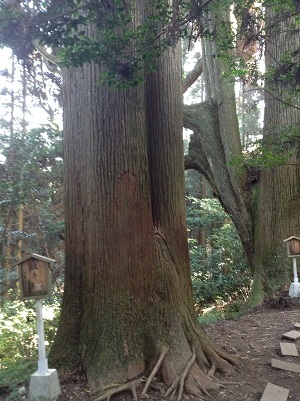 There are many huge trees around the shrine. Somehow I felt refreshed. 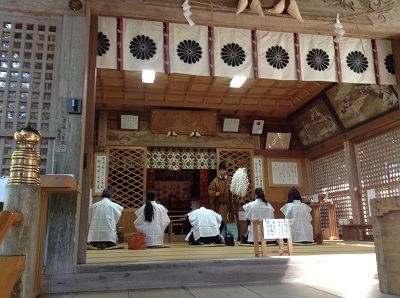 The Shinto priest was performing a purification ceremony. 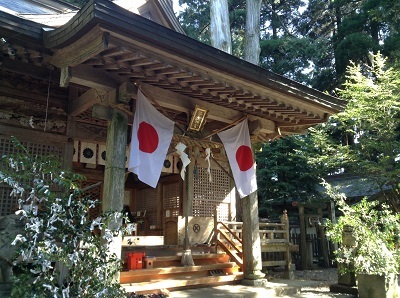 Some Japanese go to shrine to pray or purify something such as wishing their happiness, good health, or exorcising a person or place of evil spirits. 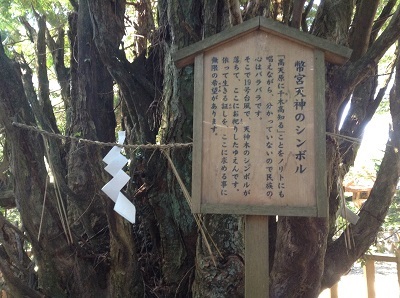 I’m not a religious person, but I have also gone to a shrine for a purification ceremony a few times before.